Here is a list of animals that I wished to post to give the developers some ideas for local animals. So far I have just seen the common rat, some type of deer and a bear, but from the geography in the videos there are plenty of animals that they could add. In this thread I will go through Reptiles and mammals and in Pt.2 I will go into fish and insect's. I was going to make this into one post but I decided that it would be too large so I am spliting the thread into Reptiles & Mammals and Insect's and aquatic animals. Now I would like to talk about the potential mammals that could be added. Red Fox- This small predator would be an interesting site to see in the middle of a forest. They are not very aggressive but would definitely attack if threatened. It would also be interesting to see a system implemented where the fox's might try to steal from you. Maybe if left too long outside a shed or storage area the fox could dig a tunnel into the building. It wouldn't be a actual tunnel just a portal that small animals can use like rat's, fox's and stoat's allowing the theft of resources. They are also one of the animals that people believe could be easily domesticated, I believe there is a group that is trying to create a fully domesticated breed. I think that would allow us to perhaps tame a fox, they could be used by thieving players to silently steal food. Stoat- This a breed of thick bodied short tailed weasel in the least weasel family that is sometimes referred as an ermine when wearing it's winter coat. It could be a small predator that would count as small game and would only really attack when defending itself. It would basically be of the Red Fox and would attempt to steal food from you. They also like to go after shiny things so you might lose some ammo as well, weasels are pretty bold so they might try to steal right from your inventory. If you could find out how to tame one you could use it as a rat catcher and to steal stuff like a fox. Fox's would be able to collect more food and stoats might steal some ammo for you. 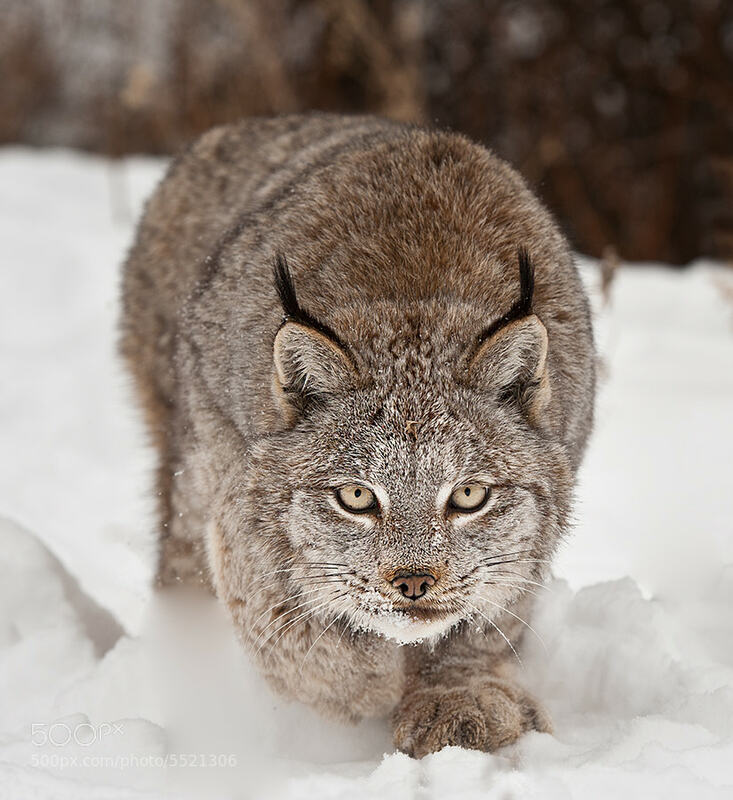 Canadian Lynx-This feline hunter would make a great addition to the game. They are gorgeous animals and would be pretty dangerous if pissed off. They are solitary animals so they would be hard to find and you would find them mostly around the coldest areas of the island chain. They would be awesome as cold weather predators in the game and it would be pretty scary to see one sprinting at you in a snow covered forest. Barren Ground Caribou- I would love to see these in the game they would be great for hunting and would be more dangerous then the average deer. They would provide a lot more meat but would be easier to scare and harder to follow. I would also like to see them as a sporadic event, they are migratory so I would like to see groups of Caribou appear for a time then disappear to simulate migration. North American Moose- I have seen Elk and Moose mentioned in passing but I wanted to talk about them a bit more. They would be great animals to add and are very iconic, they would be incredibly dangerous and would have to be rare due to the amount of meat that would be possible to obtain. A moose could probably total the average sized vehicle so you would have to be really carful when angering one. They are large enough that to easily & safely skin, clean and harvest it's carcass you would probably have to tow it back to your base, but that might lead predator's, zombies and players to your home. Grey Wolf-Like the Moose I have seen wolves mentioned but not really in depth or with any specifics on the type of wolf. Like everything above I go with the grey wolf under the assumption that the game might take place somewhere around Canada or New England. The grey wolf is a definite choice, it is one of the most widespread species of wolf and one of the largest. These apex predators can take down anything from a moose to a bison when in a pack and can even do it alone when lucky, I have seen a video of a lone grey wolf taking down a large Caribou by itself. It was a female that started and lead a pack in Grand Canyon Park, I think they named her She-Wolf. Like I my hopes for some of the above animals I would really like to be able to tame one. They would be harder to train then any other dog and even harder to obtain because you would probably have to get a pup that was a couple weeks old. Humpback Whale- These gentle giant's would be awesome to see in game, it's a island setting so it would be a great to be able to drive your boat around and see a whale or group breach the surface spraying water everywhere. We probably wouldn't be able to do anything with them besides just looking at them since it would be hard to hunt then collect one. Maybe there could be random events where a whale carcass could have washed ashore attracting predators and scavengers. If you felt lucky you could try to collect some meat that hadn't spoiled as much as the meat around it. It would also be really cool if you could hear them sing when close enough or underwater. I was going to go into bird's but I decided that since I already went over the birds I wanted to talk about I would just link you guys to the thread. So if you guys have any comments on the anmals I posted or if you want to talk about any you want to see feel free, remember this part is for Mammel's. 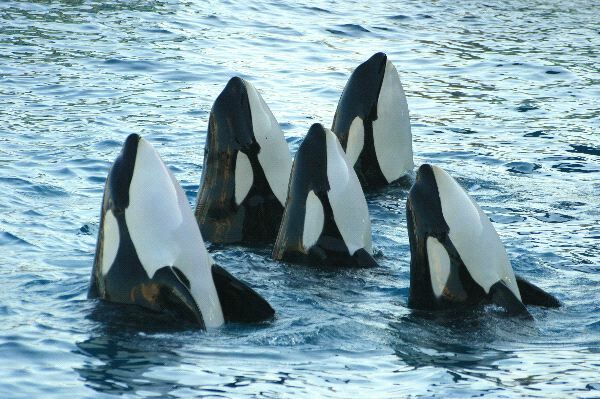 Killer Whale- These large orca's are iconic animals and extremely intelligent and have a large population around Canada and North America in general. The Northern population are known for their intelligence and their close knit familys. It would be great to see a pod traveling around the island/archipalgo just like the Hump back. Maybe you might be able to throw fish to them to interact with them as well, I think that could effect your mental state for the better. lol first on the shorter posts........Never! lol I try but as you can see with it being split into three part's it was a lot bigger then it was before. I know some people don't like long posts but some people do, also a lot of times when I write a small post I always feel like I could of written more then it ends up getting barley any posts or none. I do realize that I can go overboard with my posts I just want to contribute as much as I can. Also I have some small threads........well smaller then my usal starting posts, like my DIY medieval weapon thread and some of my old gun threads. On the animals yeah having every single one of them would be a large effort and I defintley don't expect them to be added all at once, I was just lining up animals that they could add(if I am close with the game location). Also the models would have to be diffrent of course but depending on the animal the animation could be used for more then one animal. Both the orca and whale could have the same animation, the fox and stoat could have a very similar if not identical animation. The Grey wolf would just be a larger reskined dog if and when they add dogs, and if they decided to add a common house cat the lynx would just be a larger reskined one that could be found in forests. I also posted some insects and would you agree that all the flying ones would have similar animations as well as all the ground dwelling insects having the same animation. @BlackWater UH.... Do you have a hard back I can read over the next few days lol. No lol not at the moment but who know's . In the mean time I do have several more ideas that I will be working on, one will take some time because I want to make a map for it like my Fort thread. Remember check out all of my threads and feel free to add anything you think might make them better, I also have already posted part two and three of this thread if you haven't seen them yet. but it my opinion I would rather them spend time on the gameplay and mechanics as well as some more basic animals. Rather then spend their time making models, animations and AI behaviors for each and everyone of these animals. Maybe they could do something such as commission some players who have some modeling skill to make the models and such and then just give them like a badge or special rank or whatever for it?